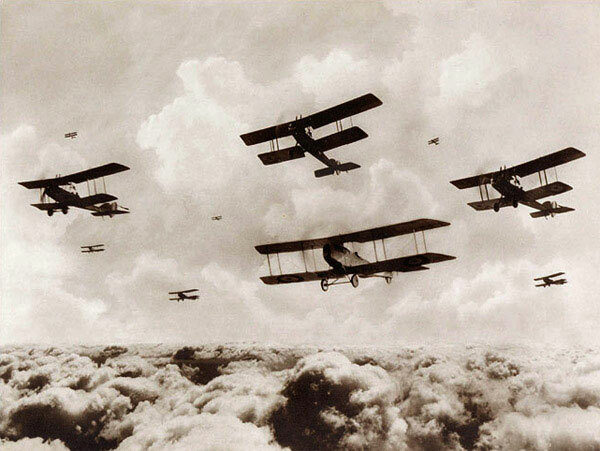 The First World War, or the so-called Great War, was one of the bloodiest in the history of mankind. This was the result of confrontation between the two European military-political blocs - the Triple Alliance and the Entente. The initiator and head of the Triple Alliance was Germany. It got stronger since the mid-1870s, and the country required resources and living space to further develop. In an effort to achieve complete dominance on the European continent, it entered into a military-political alliance with Austria-Hungary and Italy. Seeing the growing power of Germany, the leading European powers, France, Russia and England, in 1907, also formed a military alliance - the Entente. 38 countries with a total population of more than 1 billion people were involved in the war. The theater of war covered a total area of more than 4 million sq. km. 10 million people were killed on the battlefield, another 20 million died from epidemics, hunger and privations. The war has changed the political map of the world and the world view. It caused revolutions that resulted in new confrontations. World War I contributed to the development of new weapons (tanks, submarines, aircrafts) and gave the birth of weapons of mass destruction such as poison gases and barbarous methods of warfare, as the bombardment of civilian targets. 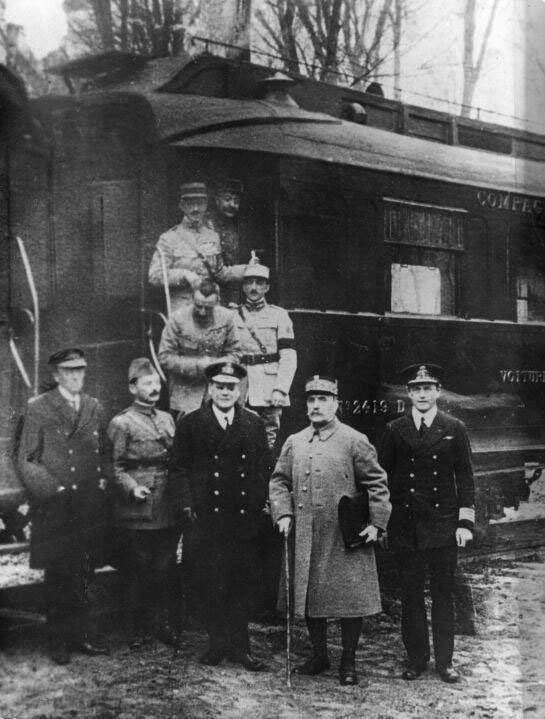 The First World War ended with the signing of the Armistice that took place in Marshal Ferdinand Foch's railway carriage near Compiègne on 11 November 1918. The officially peace treaty was signed in the Palace of Versailles six months later on 28 June 1919. The Treaty of Versailles was designed to end the fighting of the First World War, but it did not prevent the outbreak of another war. 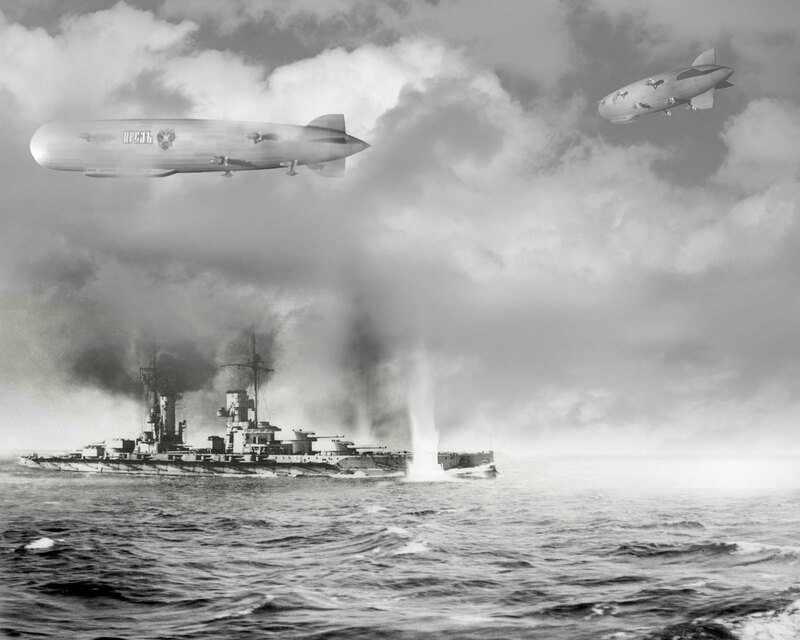 On the conrary, the treaty led to and helped cause the Second World War. When researching history of any war, and especially the history of the First World War, we can not but use the cartographic material. Maps allow us to fully understand the events of the early 20th century, which engulfed quite half of the globe. 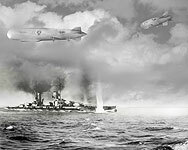 "Russia" and "Eagle" Military Airships Attack the German Dreadnoughts. Alliance Representatives at the signing of the armistice. Versailles Conference. 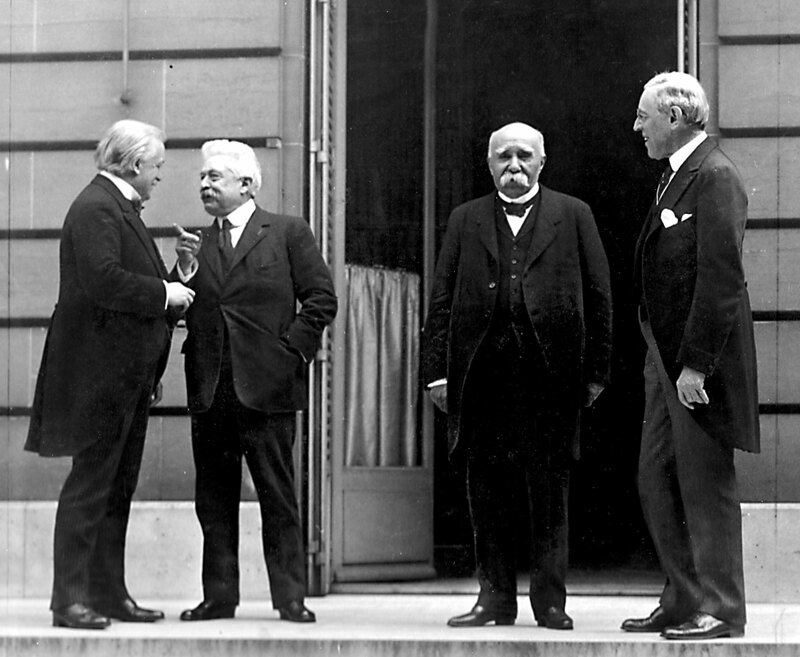 From left to right: British Prime Minister David Lloyd George (1863-1945), Italian Prime Minister Vittorio Emanuele Orlando (1860-1952), French Prime Minister Georges Benjamin Clemenceau (1841-1929), US President Woodrow Wilson(1856-1924). 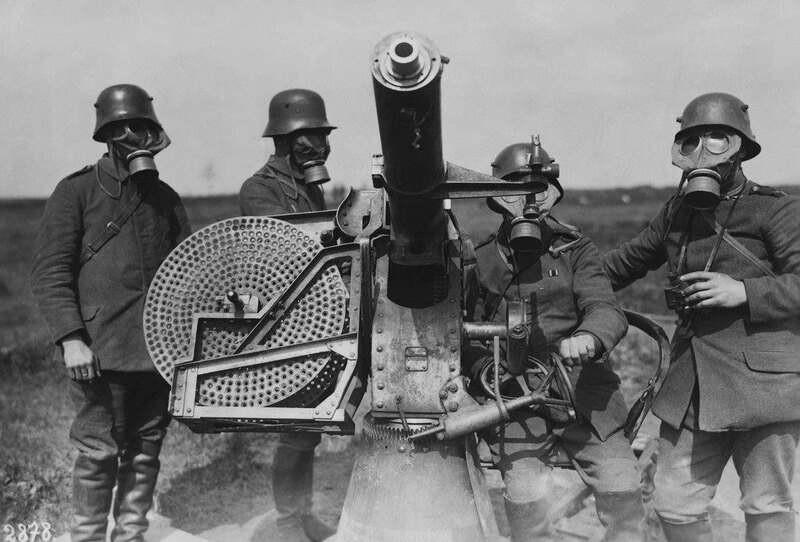 German Large-caliber Anti-aircraft Machine-gun Team.